Panic gripped the whole country as soldiers are reported to have stormed residential areas and dragged people out of their houses before beating them up and arresting them following Monday's violent protests. 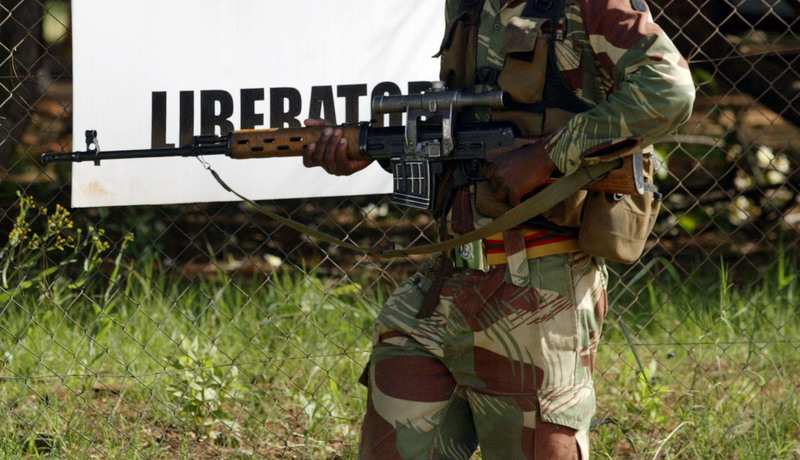 Human Rights activists Betty Makoni said, "Many are feared dead in Zimbabwe. The government has deployed military into people's homes. Whatsapp and all social media has been switched off. We fear for everyone in the country right now." Another Human Rights lawyer Douglas Coltart confirmed that he has received reports of a widespread military operation in the country. "Receiving a lot of disturbing reports that there is a widespread military operation in Harare's townships (especially DZ and Chitingwiza) — soldiers are beating people up, going door to door, kicking down doors, dragging people out of their homes." Coltart said. "Both women and men are being beaten. Many have fled from their homes. Most have not been able to get to hospital. People have been shot by armed police and were prevented from going to hospital. The State has shut down social media to prevent this getting out." On Tuesday morning government instructed Potraz to shut down data from mobile networks so as to avoid citizens organizing themselves like they did on Monday. Meanwhile News24 reported that a Zimbabwean military helicopter fired tear gas at demonstrators blocking a road and burning tires on a second day of protests after the government more than doubled the price of fuel. Soldiers have moved in to disperse crowds at the busy intersection and transport hub in the capital, Harare, amid Zimbabwe's biggest unrest since deadly post-election violence in August. In Epworth there was a standoff between soldiers and protesters who were demonstrating on the streets mourning the death of one person who was shot during the protests on Monday. Soldiers stood on guard in their truck waiting to engage the protestors.